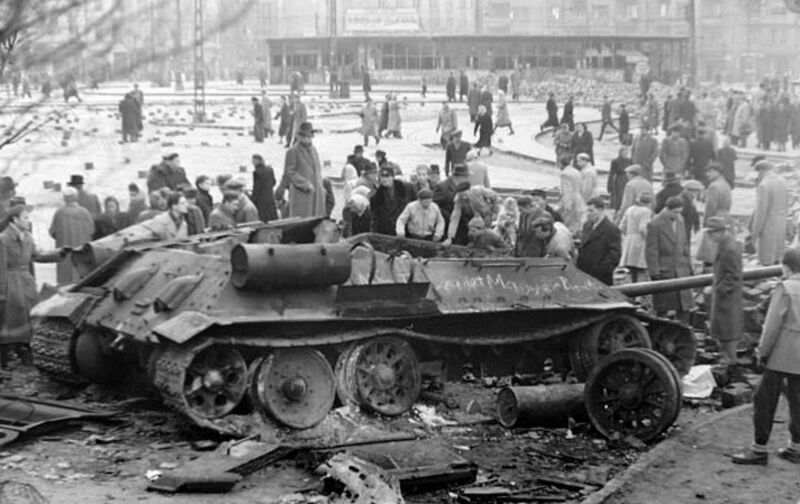 Protests in Poland had begun earlier in the summer of 1956 before a similar uprising against the Communist government broke out in Hungary on this date in 1956. Within a few weeks of the beginning of the uprising, The Nation published a piece about the events in Hungary, “The Counter-Revolution: 10 Days That Shook the World,” by Mark Gayn, a longtime foreign-affairs correspondent, most notably for the Toronto Star. Gayn’s wife was Hungarian and, suspected of communist ties, denied entry to the United States, so she and Gayn moved to Canada. The piece shows a profound sympathy with the Hungarian revolutionaries and an abhorrence for Soviet repression. This, then, is a time of reappraisal for everyone. Moscow has now found that its “tough” policy has backfired in Hungary, and its “soft” policy has failed dismally in Poland. Its most urgent task, therefore, is to take a fresh look at the counter-revolution now sweeping much of Eastern Europe, try to foretell its course, and decide how the Soviet Union can live side by side with it…. This, finally, is a time of reappraisal for the Western liberal who, for his inability to build his own spiritual home, has sought it in what he thought was a Socialist paradise in the East. For a generation and more, he remained loyal not to what was true but to what he imagined to be true, and sought a refuse in rationalization each time history showed him that the home he had chosen was no place for a liberal. For if he truly searched his conscience he would have found that there was no justification for Janos Kadar’s torn-out nails and the system of horror they represented. What will the liberal who hailed the original October Revolution say now of the men who revolted against that revolution? What will he do if a clerical-Fascist system arises in the ruins of Stalinism? And would he now be able to build of refuge of his own, on his own ideological grounds?